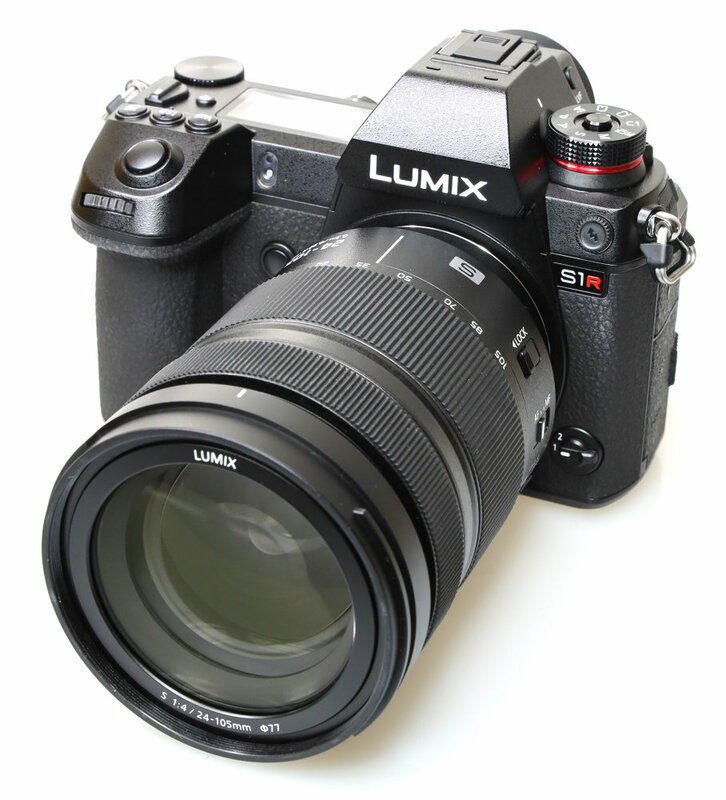 The Panasonic Lumix S1R has it all: excellent image quality, excellent video quality, great handling, weather sealing, fast performance, and an easy to use menu system. There are some unique features, including the ability to shoot 187mp images! The biggest negative, is the camera’s size and weight, being easily the same size and weight as a full-frame DSLR, but without the long battery life of a DSLR. But as camera size is very much a personal thing, the S1R might be right for you. 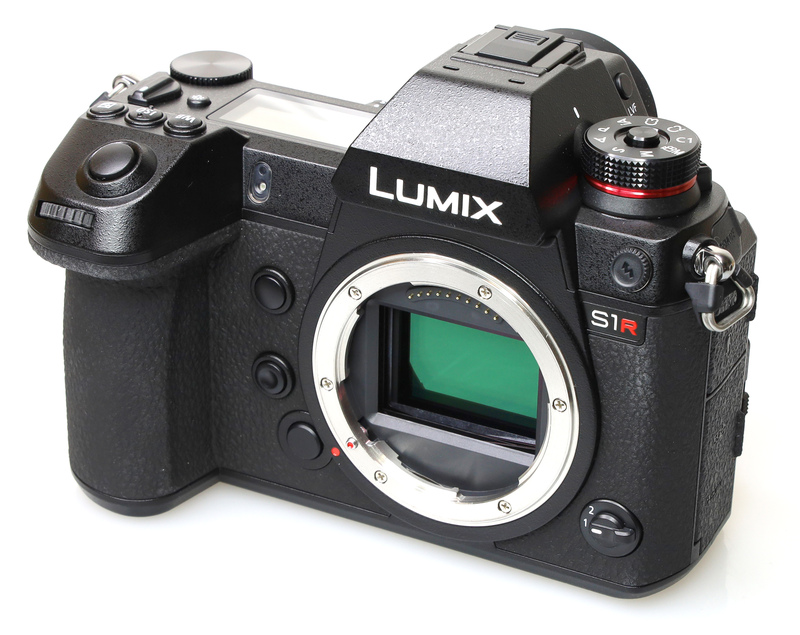 The S1R is also part of the L-Mount alliance, and as such, has a head start in lenses compared to some. The Panasonic Lumix S1R has a 47.3MP full-frame sensor, up to 6-stop dual IS for stills/video and an electronic viewfinder with 5760K OLED display. The camera's 3.2-inch touchscreen features 2.1-million-dot resolution and is mounted on a triaxial tilt rear monitor that allows it to flip out. Video fans will be happy to hear that the Lumix S1R captures 4K video at 60/50p. Announced at Photokina 2018, the Panasonic Lumix S1R (and S1) are part of the Leica L-Mount alliance, which includes Panasonic, Leica, and Sigma, which will results in all three companies offering lenses and camera bodies (Sigma are yet to announce official details of their camera). 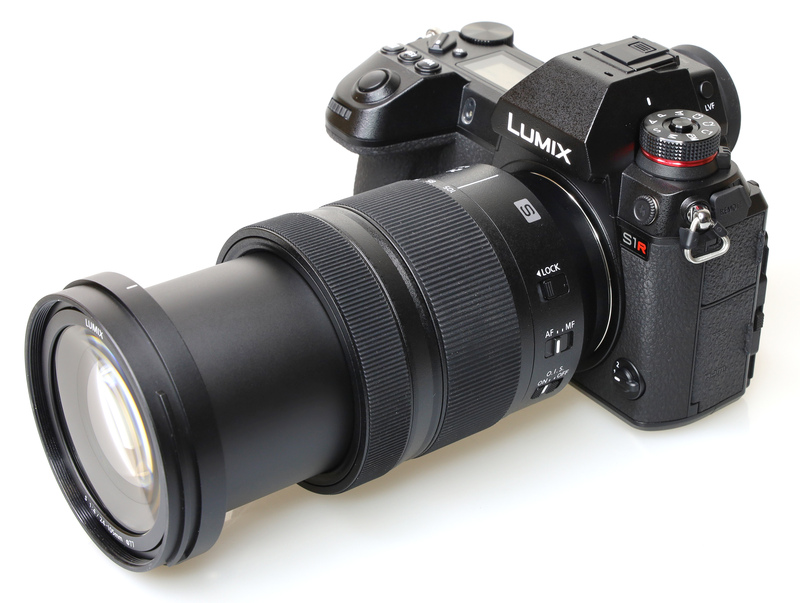 Using a shared L-Mount, the Panasonic Lumix S1R can use Panasonic's own lenses, Leica's lenses, plus Sigma L-Mount lenses. The Panasonic Lumix S1R is Panasonic's full-frame 47.3mp mirrorless camera, with another camera, the S1 available as a more affordable 24.2mp version. Both cameras share the same camera body design and layout, and both feature full-frame CMOS sensors. The 47.3mp sensor not feature a low-pass filter, which should result in sharper, more detailed images, compared to if the sensor did have an optical low-pass filter. The sensor also has aspherical micro lens, and an "optimised design that increases the light capturing potential" of each pixel. The camera has P, A, S, M shooting modes, giving you full manual controls, and the camera shoots raw files, as RW2 files. There are also three custom modes, creative effects, as well as intelligent Auto (iAuto) in case you want to leave everything up to the camera. 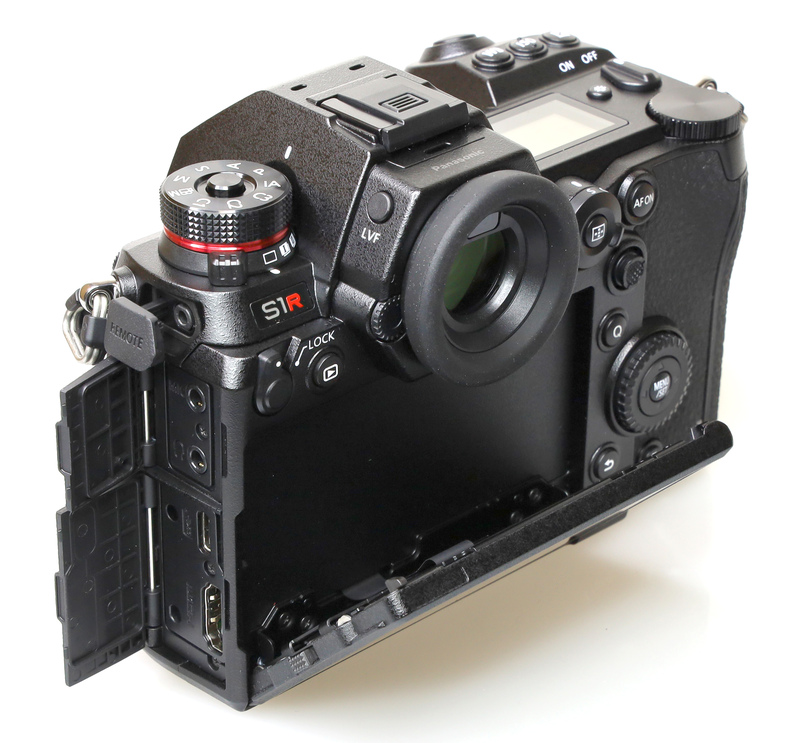 The camera features 5-axis Dual I.S. 2, combining in-camera sensor-shift image stabilisation, with optical image stabilisation in compatible lenses, giving up to 6-stops of image stabilisation. The in-camera image stabilisation also works with lenses without image stabilisation. There's a high-res multi-shot mode, that combines 8 images and can produce a 187mp image, although be warned, the raw files are large at 330mb! (Standard raw files are around 68mb). You'll also need a sturdy tripod to use this feature. There's a high-res multi-shot mode, that combines 8 images and can produce a 187mp image! The camera will shoot at 9fps continuous shooting with AF-S (fixed focus), or 6fps with AF-C (continuous focus). Focus features 480fps AF control, as well as Depth From Defocus (DFD) technology designed to speed up focusing. The camera will focus down to -6EV, and uses a contrast AF system (rather than phase-detection). The camera is also said to recognise faces, eyes, human bodies, but also a variety of animals. You can use select the focus point using the touch-screen, or select from 225 areas. There are numerous colour / photo profiles (styles) available, including: Standard, Vivid, Natural, Flat, Landscape, Portrait, Monochrome, L. Monochrome, L. Monochrome D. Cinelike D, Cinelike V, Like709, HLG Standard, HLG Monochrome, with "My Photo Style 1-10". You can also customise these with options for contrast, highlight, shadow, saturation, hue, sharpness and noise reduction. There are further options of colour tone, filter effect, and grain effect when shooting monochrome images. The camera features a high resolution electronic viewfinder, with 5760K dots, and 0.78x magnification. The OLED display has a low lag, and the refresh rate can be set to 120fps (or 60fps). 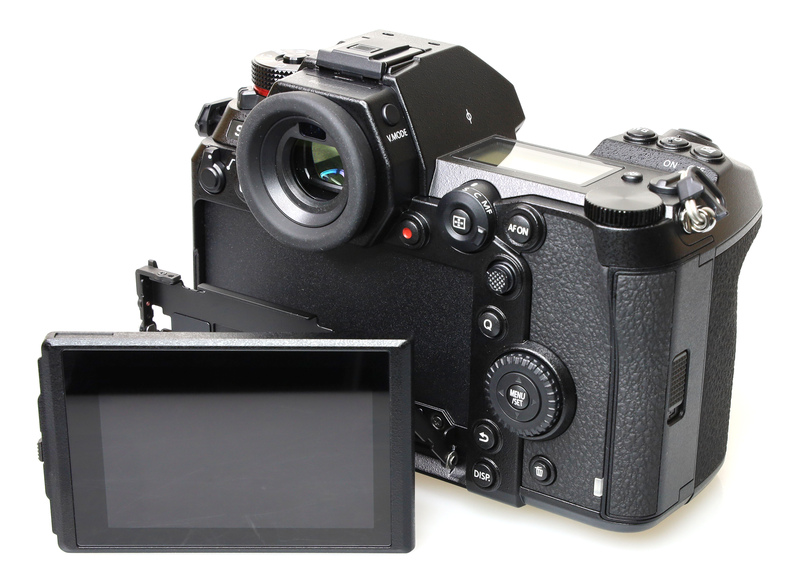 The 3.2inch touch-screen tilts down (roughly 45 degrees), as well as up (90-95 degrees), and can be tilted on a 3rd axis for low-down (or up-high) portrait use. The screen has a very good resolution of 2100K dots. On top of the camera you'll find the top status LCD screen. The magnesium alloy body is weather sealed, with seals on every seam, dial, button, and port. Speaking of ports, on the side of the camera you'll find microphone and headphone sockets as well as USB Type-C (3.1), and HDMI connections. There's also a remote socket, as well as a flash sync cable connector. There are both SD (UHS-II) and XQD memory card slots. Wi-Fi, and Bluetooth (v4.2) are built-in letting you remotely control the camera from your smartphone or tablet. Bluetooth allows low-power image transfer. 4K UHD video recording uses the whole width of the full-frame sensor, and can record at 60fps. 4K 60fps video recording is limited to 15 minutes. FullHD video can be recorded at speeds up to 60fps. There's a high-speed video recording option recording up to 180fps. The most noticeable thing about the Panasonic Lumix S1R when you first see it or pick it up, is the size and weight of the camera. 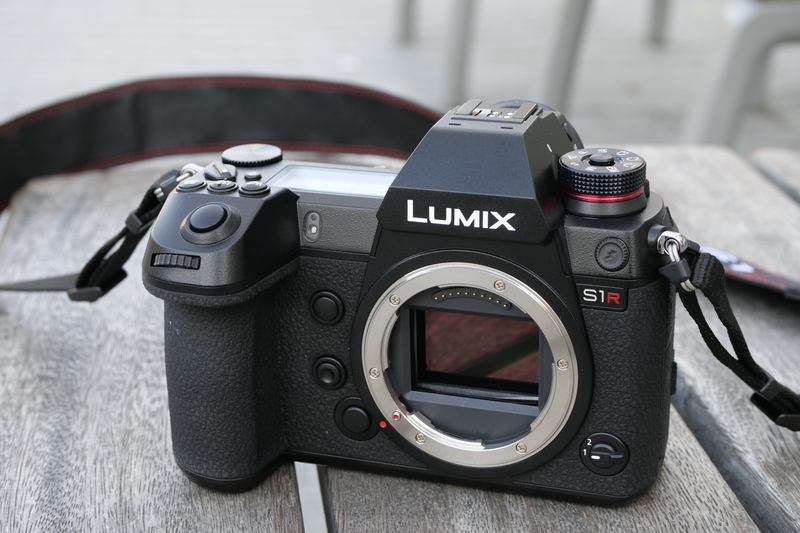 The Panasonic Lumix S1R weighs more than the full-frame Nikon D850 DSLR, weighing 1016g with SD card and battery, compared to 1005g for the Nikon D850 (with XQD card and battery). The measurements are also very similar. However, it's perhaps because of this size, that the camera has excellent handling, with a large, comfortable handgrip, with plenty of rubber covering giving you plenty to hold on to. The camera feels extremely well built, and as you can see when looking at the insides of the camera, there is a magnesium alloy body, with a magnesium alloy front and back, as well as the top plate being magnesium alloy. The camera is weather-sealed, and feels reassuringly solid in the hand. You can see the seals when you open the (side) memory card compartment or the battery compartment. The memory card compartment will accept an SD card, and in the second slot an XQD memory card. There's a locking mode dial, with drive mode dial underneath, on the top left of the camera. There's also a lock switch next to the play button to lock off controls, or you can customise this to only lock certain functions. There are a number of customisable function buttons, with two dedicated function buttons at the front, as well as a number of on-screen function buttons. 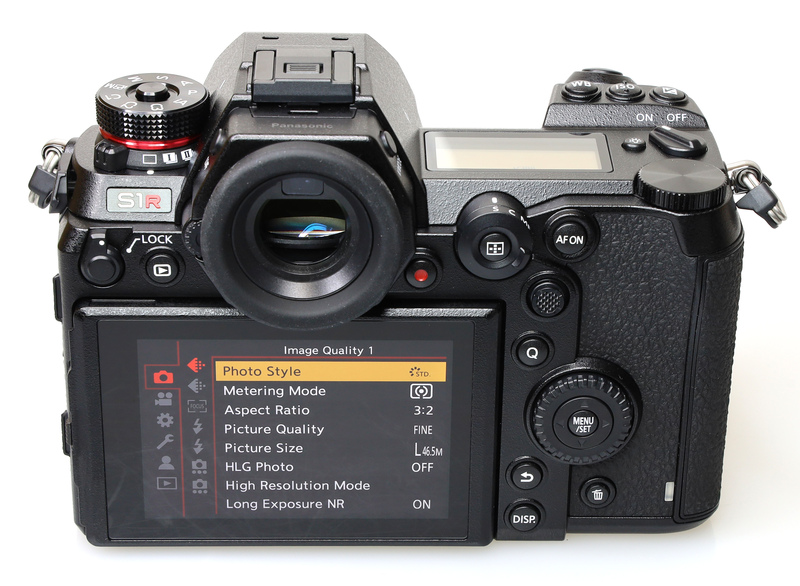 You can also customise a number of labelled buttons, for example, you can customise the WB, ISO and exposure compensation buttons. The 4-way controller on the back has a middle Menu/Set button, and surrounding this is a scroll wheel. 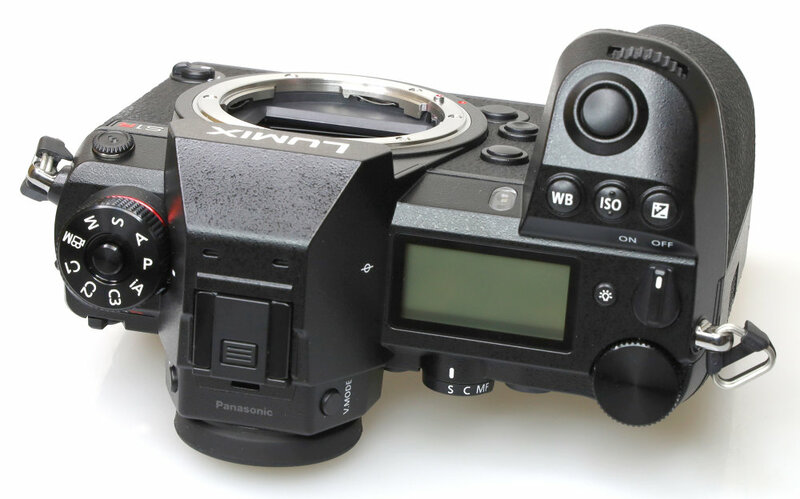 There are further buttons on the front of the camera surrounding the lens mount, including a function lever and the lens release button. A number of buttons on the back of the camera (as well as the LCD screen) light up when you press the illumination button on top of the camera. 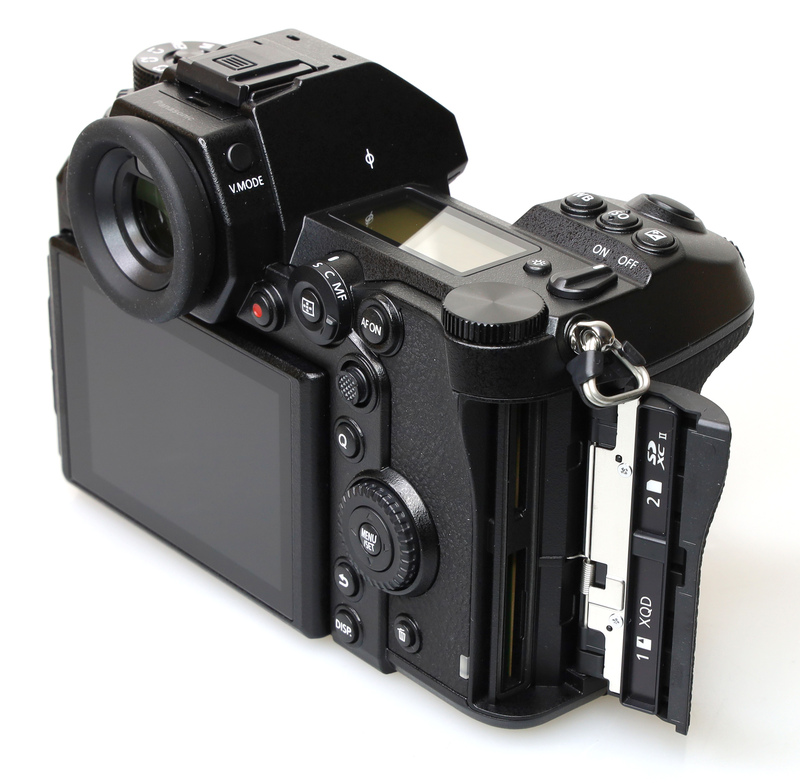 The shutter release button is quite “light” with a light press needed to take a photo, and this makes it responsive. It’s also easy to accidentally take a photo accidentally. You can select an area from 225 areas, and focus is said to work down to to an impressive -6EV. AF tracking features moving object prediction, and auto focus can auto detect faces, eyes, bodies and animals. We found this worked well with people, particularly face and eye detection, but we had less luck with fast moving animals close to the camera. You can use the touch-screen to quickly set the focus point. You can also use the joystick lever to move focus points around the scene very quickly and easily. A new feature is that you can push in the joystick to switch between detected subjects in the frame – so for example, if you’re photographing a scene with two or three people in it, you can push in the joystick to alter the main focus between each of the faces as appropriate. The electronic viewfinder (EVF) offers an extremely high resolution of 5760K dots, and the magnification of 0.78x gives a large, and clear view of the scene. The round surround gives a professional look, and there's dioptre correction on the left. The 3.2inch touch-screen has a high resolution of 2100K dots, and looks great. The ability to tilt both up and down, as well as on a third axis is very useful, although people who wanted to use the camera for vlogging or selfies may be disappointed, as you can't turn the screen to view from the front. Both the screen and EVF offer a red night mode. You can switch on the dual-axis electronic level to ensure your shots are level. Plus there's an "I.S. Status Scope" that will display what looks like a G-meter, and shows how much you're moving the camera on screen. You can view a quick example of this at the end of this video. The menu system is clearly laid out and easy to use, and this benefits from an updated design, making it easier (and quicker) to find settings. The menus have built-in help so that most settings and options are explained. There's a new Q. Menu (Quick menu) with an updated design, compared to earlier Panasonic cameras, and this makes the system look more modern, and business like, compared to previous cameras, and gives you quick access to a number of photo settings. The playback and delete controls are particularly easy to use, with options to delete single, multiple or all photos. Wi-Fi features - The camera has built-in Wi-Fi, and low-power Bluetooth. This means you can remotely shoot and transfer images, using less power than when using Wi-Fi. If you want to remotely control the camera with live-view, or remote viewing on your smartphone or tablet, then this uses Wi-Fi. 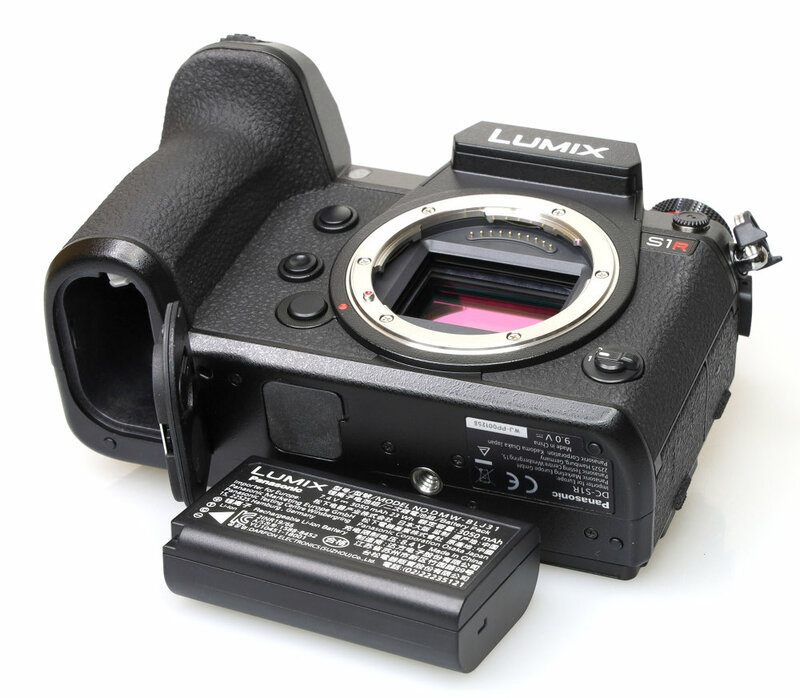 Lumix Tether software is also available lets you control the camera from a PC, and transfer images, and can be downloaded from Panasonic's website. Battery life - Battery life is rated at 380 shots (using an SD card) according to Panasonic / CIPA test results, which is reasonable, but this can be extended to 1150 shots using the Power Saving mode (sleep set to 1sec). We'd still recommend a spare battery just in case. You can charge the battery in the camera, or using the external charger provided. You can also use the same USB cable to power the camera, so that you can shoot without draining the battery. Thank you very much for a review I have been wanting to read since the news broke. I am with Panasonic on matching the ergonomics of a DSLR with this flagship camera. The size of DSLR's and SLR's has been honed to perfection for decades so I can see the logic in keeping the size and form of DSLR sizing to match high performing, wide aperture lenses. I am a big fan of FF mirrorless although I still take my Micro Four Thirds gear on a long day out. Good Luck Panasonic - looks like a winner in the making. Thank you very much for a review I have been wanting to read since the news broke. I am with Panasonic on matching the ergonomics of a DSLR with this flagship camera. The size of DSLR's and SLR's has been honed to perfection for decades so I can see the logic in keeping the size and form of DSLR sizing to match high performing, wide aperture lenses. I am a big fan of FF mirrorless although I still take my Micro Four Thirds gear on a long day out. Good Luck Panasonic - looks like a winner in the making.